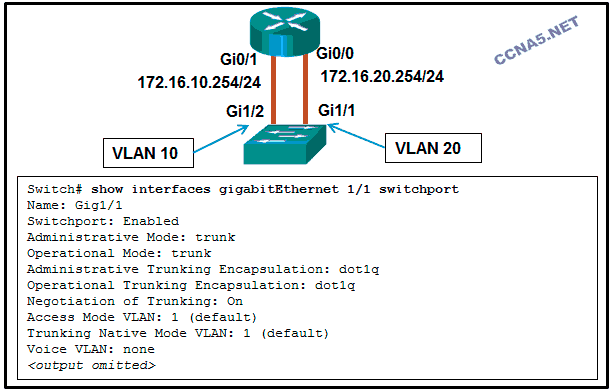 From the switch, issue the show vlans command. From the router, issue the show interface interface command. From the switch, issue the show interface trunk command. From the switch, issue the show interface interface command. From the router, issue the show ip route command. From the router, issue the show interface trunk command. What condition is required to enable Layer 3 switching? The Layer 3 switch must have IP routing enabled. Refer to the exhibit. A network administrator is configuring RT1 for inter-VLAN routing. The switch is configured correctly and is functional. Host1, Host2, and Host3 cannot communicate with each other. Based on the router configuration, what is causing the problem? IP addresses on the subinterfaces are incorrectly matched to the VLANs. The wrong port on the router has been used. . 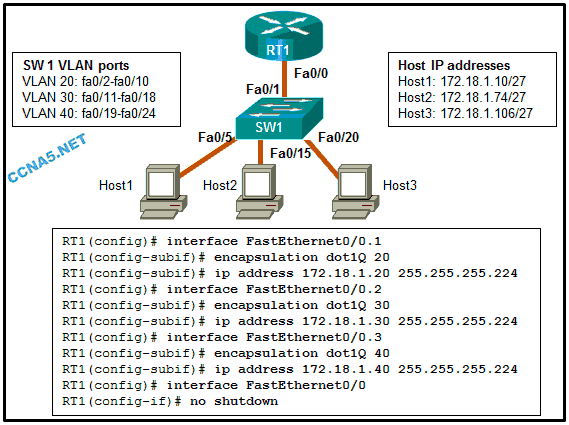 Which statement describes a disadvantage of using router subinterfaces for inter-VLAN routing? Routed traffic must contend for bandwidth on a single router interface. Fill in the blank with an acronym. While configuring inter-VLAN routing on a multilayer switch, a/an (SVI) is used as a virtual-routed VLAN interface. Gi1/1 is configured as trunk mode. Gi1/1 is in the default VLAN. A router with at least two LAN interfaces should be used. 24. How are IP addressing designs affected by VLAN implementations? 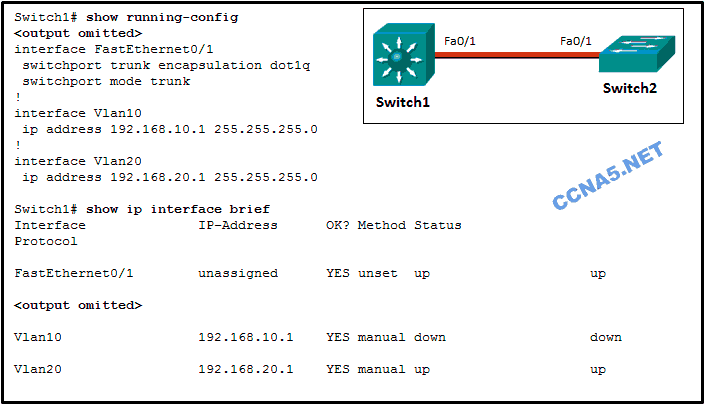 An administrator is attempting to configure a static route on a Cisco 2960 series switch. After the administrator types the command ip route 0.0.0.0 0.0.0.0 10.1.1.1, an error message appears stating that the command is not recognized. What must the administrator do so that this command is accepted? Enter the command sdm prefer lanbase-routing and reload. 27. Refer to the exhibit. 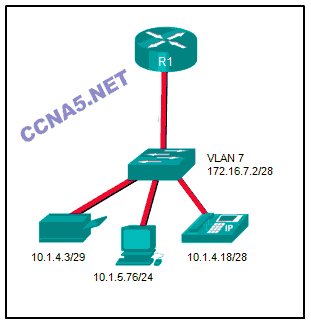 In this network design, which connection or connections if any, add the VLAN ID number if host H1 sends information to host H2? 29. Refer to the exhibit. What is the problem with this configuration, based on the output of the router? The encapsulation has not been configured on the subinterface. 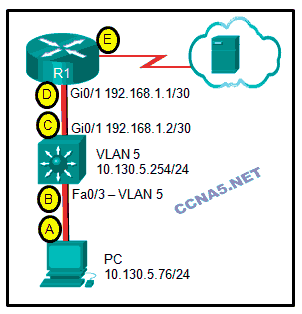 A network administrator is verifying the configuration of inter-VLAN routing. 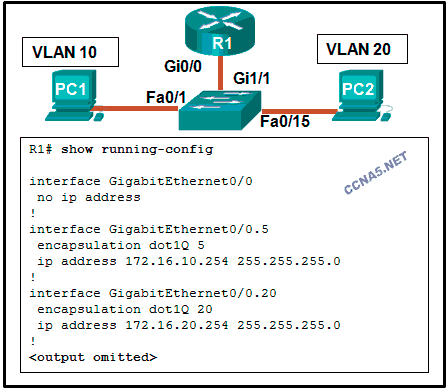 Based on the partial output that is displayed by the use of the show vlan command, which conclusion can be drawn for the Gi1/1 interface? It is configured as trunk mode. 32. 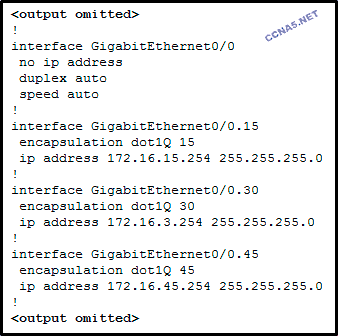 Match the inter-VLAN routing method to the corresponding characteristic (not all options are used).